Jaisalmer is a bit of a paradox. So far west that it is in the heart of the desert, one would expect barren near-desolation. 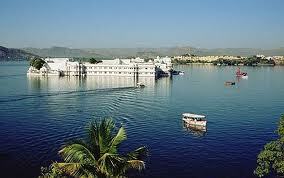 Yet this frontier town is today one of Rajasthan's best-loved tourist destinations. Local colour and warmth prevail over the inhospitable and forbidding terrain, imbuing the medieval town with a special magic. Rawal Jaisal, a descendent of the Yadav Clan and a Bhati Rajput, laid the foundation of this city in 1156 AD. 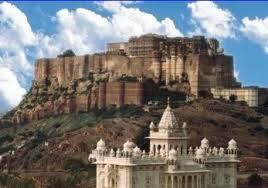 Trikuta was the hill choosen and Jaisal abandoned his old fort at Lodurva and established his new capital here. Just a walk through Jaisalmer, savouring the medieval glory of old Rajasthan, is a marvelously rewarding travel experience. Desert Festival, celebrated in January/ February, is a must on any itinerary. 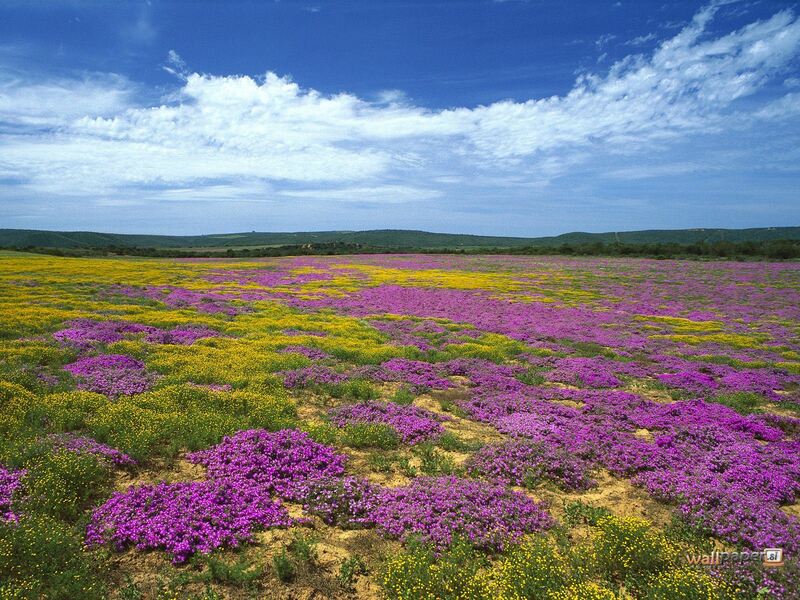 The desert seems to bloom in a thousand colours. There are camel races and folk dances. Craft bazaar and traditional balled singing. A sound and light spectacle on the sand-dunes of Sam on the full moon night. And all the colour and excitement of the best in Rajasthan. The perfect time to visit the golden city is during the Desert Festival every year when the city reverberates to the sound of melodious tunes and rhythms. Folk dances, exciting competitions and contest especially the turban-tying contest, Mr.Desert contest and camel races enlighten the festivities. Jaisalmer is a marvel of beautiful culture and harsh climatic conditions, together amounting to a memorable experience. The Jaisalmer Fort: The golden - hued Jaisalmer Fort 'Sonar Kila' can be seen miles away before reaching the town. Manak Chowk and Havelis: - A main marketplace outside the fort leads to the narrow lanes dotted with famous 'havelis'. Havelis: Some of the most exotic mansions or 'havelis', all intricately latticed, are stretched all over Jaisalmer, each with a different facade. Gadsisar Sagar Tank: - A scenic rain water lake with numerous beautiful shrines around the lake is an idyllic spot for outings. Jain Temples: - The fort has three exquisitely carved Jain Temples dedicated to the Jain Tirthankaras - Rishabhdevji and Sambhavnathji. Ever wondered what luxury in the royal times was all about! Welcome to Palace On Wheels, a luxury train that carries with it an ambience of the Rajputana era and an exciting fairytale journey, which takes the visitor to the imperial cities of Rajasthan every single day. The coaches also carry out an image of the Rajput states with beautiful interiors. Last but not the least the "Royal Treat" for the passengers on board include salons, bar lounges & libraries in every coach as well as restaurant and organized shopping facilities. Akal (16 kms from Jaisalmer) : It looks like a army frozen in its tracks, standing petrified in the forest of Akal, in a bare hillside of mica, and red and yellow stone. It is a fossil park where 180 millions years ago stood a forest. The fossil trunks lie scattered in this part. Barmer (153 kms from Jaisalmer ) : It is famous for wood carvings, embroidered fabrics and block printed textiles. Desert National Park (40-km from Jaisalmer) : It preserves the eco-system of the desert within its confines. The Monitor lizards, desert foxes, porcupines, occasional wolves and black bucks, and the Great Indian Bustard (a protected bird ) are found here, forming an ecological chain revolving around cacti and other hardy desert plants. Bada Bagh (6-km from Jaisalmer) : A fertile oasis on the bank of an artificial lake. Much of the city's fruits and vegetables are grown here. Surrounded by dense trees are the royal cenotaphs with beautifully carved ceilings and equestrian statues of the former rulers. Sam Sand Dunes :(42-km from Jaisalmer) : It is the closest point to witness the total sandy desert. Sam (pronounced 'sum') has a truly magnificent stretch of sweeping dunes, with little or no vegetation. 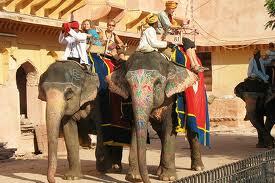 The best way to see this and other sights around Jaisalmer is to take a camel safari. The standard trip lasts 4 days and three nights, and offers the opportunity to explore the area in authentic and leisurely fashion, with entertainment by folk performers, visits to villages, and chatter from colourful guides thrown in. Location 285-km from Jodhpur, Rajasthan. 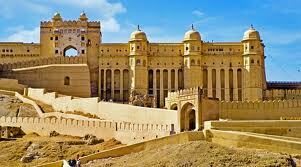 Tourist Attractions: Jaisalmer Fort, Manak Chowk & Havelis. Jaisalmer is famous for mirror work, embroidered articles, woollen pattu and other items made of good quality, locally produced wood, wooden boxes, trinkets, silver jewellery and curios. The main shopping areas are Sadar Bazaar and Sonaron Ka Bas, Manak Chowk, Pansari Bazaar and also Rajasthali - Government shop for handicrafts and Khadi Gramodyog.